When will be P. King Duckling next episode air date? Is P. King Duckling renewed or cancelled? Where to countdown P. King Duckling air dates? Is P. King Duckling worth watching? 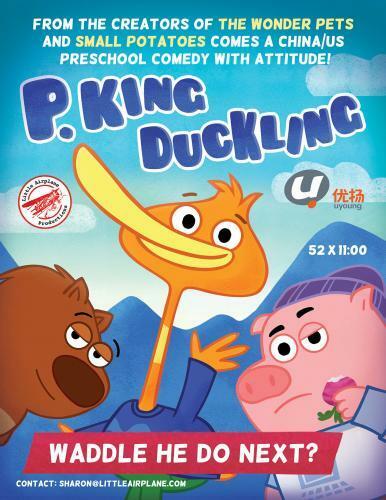 P. King Duckling is a Chinese/American animated television series created by Josh Selig. The series debuted on Disney Junior in the United States on November 7, 2016. P. King Duckling is about the title character, a young duck, who has adventures in the town of Hilly Hole with his two best friends, Chumpkins and Wombat. P. King Duckling next episode air date provides TVMaze for you. EpisoDate.com is your TV show guide to Countdown P. King Duckling Episode Air Dates and to stay in touch with P. King Duckling next episode Air Date and your others favorite TV Shows. Add the shows you like to a "Watchlist" and let the site take it from there.